France meet Belgium in the first of the World Cup 2018 semi-finals and it promises to be a tantalising prospect. Among the world class talent on show are the likes of Antoine Griezmann, Kevin De Bruyne, Eden Hazard, Romelu Lukaku and French starlet Kylian Mbappe. Mbappe electrified against Argentina scoring twice and some fans were comparing his performance to French great Thierry Henry, who will be in the Belgium dug out as part of Roberto Martinez’s backroom staff. 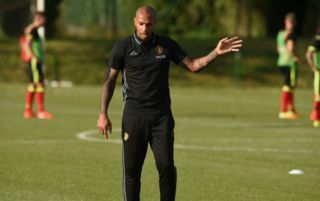 The prospect of Henry being a part of Belgium to take on his nation makes for an interesting subplot, however, France manager and Henry’s teammate in the 1998 World Cup Didier Deschamps said he is now a part of the ‘enemy’ but acknowledged it will be a difficult situation for him personally. Deschamps has his say on Henry working for Belgium. “When you go to a club abroad and play against one from your own country, you are part of the enemy,” said the France manager, as per The Independent. “This time, in an international match, it is much higher. He is facing his home nation. From the time he became an assistant to Roberto Martinez [Belgium manager], he did know that can happen. Henry is France’s all-time record goalscorer and has won the World Cup, European Championships and Confederations Cup with his country. Tottenham and France ‘keeper, Hugo Lloris added that Henry’s feeling will naturally be torn but he would be trying hard to help the Belgium team win. “His heart will be divided,” France captain and goalkeeper Hugo Lloris said as per the report.